It is indeed important to choose the best hand pruner for the job. 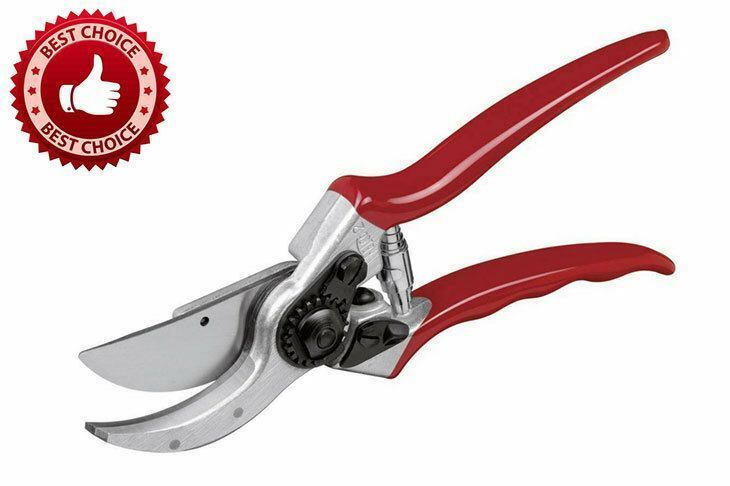 In most cases, the type of pruner to purchase might be a matter of personal preference. Knowing that there are various options to choose from, it could be confusing on your part. So, here I will help you come up with the right choice. Besides, other than providing reviews of the best products, I will also provide some of the most relevant facts that will help you throughout the process. So, what are you waiting for? Continue reading fellas! What is a Hand Pruner? *Below are the details and reviews of these products. Also called as pruning shears or secateurs, a hand pruner is a type of scissors for use on plants. 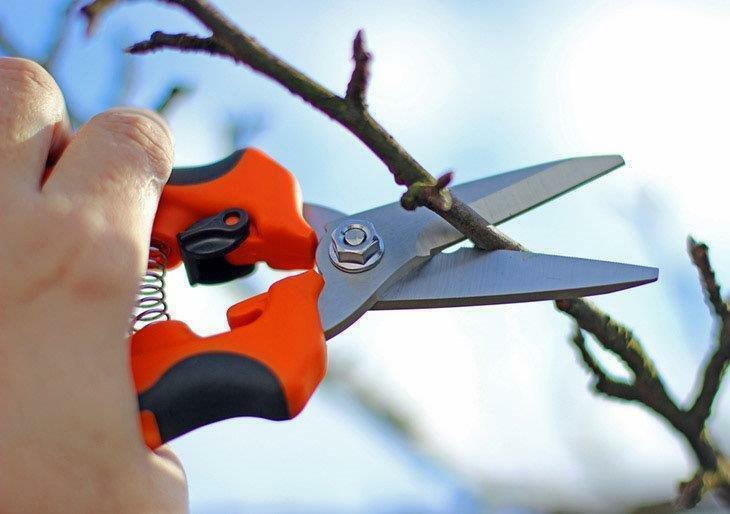 These pruning shears are strong enough in order to prune hard branches of shrubs and trees like up to two centimeters thick. 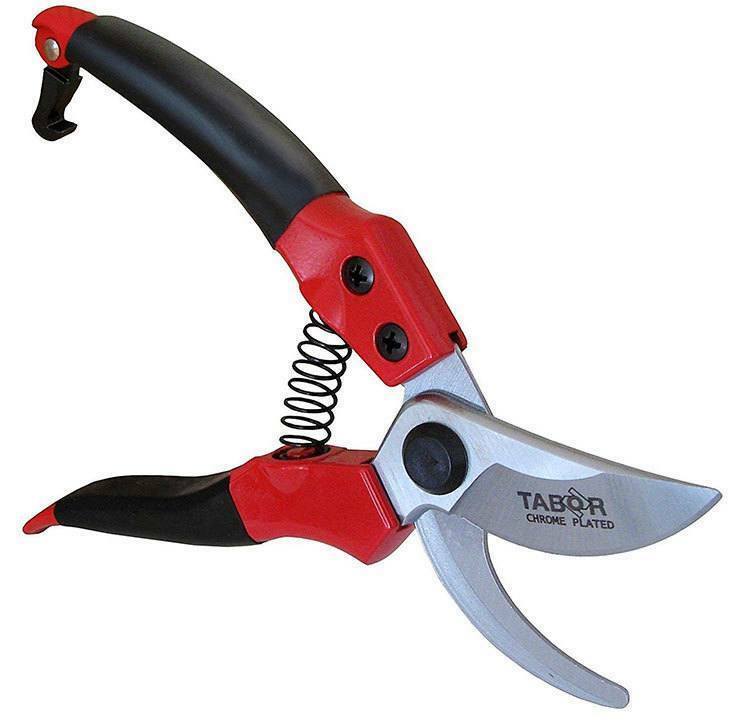 Hand pruners are used in arboriculture, gardening, flower arranging, farming, and nature conservation wherein fine-scale habitat management is needed. It is one of the most important h﻿and tools for wide numbers of gardeners. Anvil pruners are considered as the best options for cutting hard, old, dead and brittle wood. The cutting blade drops into the middle of the anvil and in most cases into a small slot which receives the blade. This anvil will also support the branch under to reduce the chance of it splintering. And this anvil would slightly crush the bottom of the branch on either side of the cutting blade. So, it is best that you use an anvil-style pruner once dealing with a dead wood. These types of pruners are the best when it comes to cutting live wood. It has a cutting blade that passes by the counter blade in the scissor-like action. The counter blade also features hook shape that helps in holding the branch steady as you cut. The counter blade will slightly crush the bottom of the branch. You need to cut from the side of the branch which allows you to position the blade under the wood you like to remove. And this will lessen the damage that is caused to the branch. Those with shorter blades would make the precision cuts a lot easier, however, longer blades offer a little more reach only. Leverage is increased by a greater handle length. 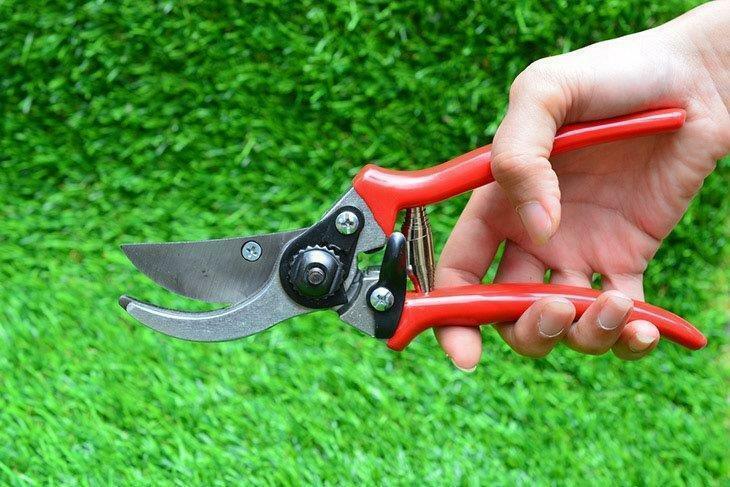 There are some people who would prefer the use of this double cut pruner. It has two cutting blades rather than an anvil or a counter blade. The sharp edges of the blades will be on opposing sides so cutting the surfaces don’t contact one another. The blades of this type nests together. Let us discuss these factors one by one. There could also be latches that are positioned in different areas along the handle. A latch that you can open with just a hand is a nice feature. Added comfort and reduced blistering intended for prolonged running might be offered by ergonomic and rotating handles. This one is very important as for preventing any accidental damages. It would lock the shears in the closed position, therefore, making it a lot safer and it protects the blades once you are not using it. However, there are shears with a mechanism which is more convenient to use since you just need to squeeze it. And this feature is a lot useful in ensuring that the tool doesn’t lock up once you are using it. Though you have the best hand pruner, it still needs to be cleaned occasionally or it should be re-sharpened. It would be a lot more convenient if it is easy to dismantle and for you to sharpen the entire blade. There are still times wherein hand pruners get worn out, broken or damaged. It is a big hassle if you order a replacement part then only to find out that it will take weeks or months before you can get the said part. With that, it is advised that you get a slightly more expensive hand pruners since the quality is a lot better. 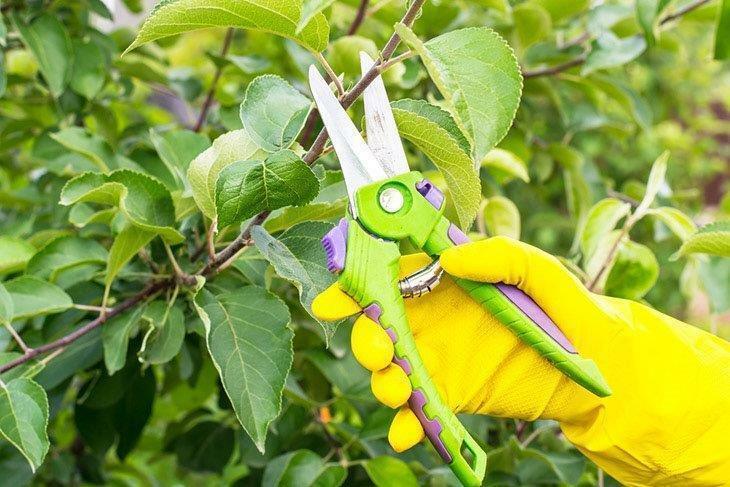 Due to its sturdy handle that is designed from aluminum along with a blade that is forged from hardened steel, this hand pruner is a favorite by the majority of gardeners. The aluminum will provide a lightweight nature and the steel blades will offer durability and will maintain the sharpness for a longer period of time. Felco hand pruners feature an anvil blade that comes with a sap groove that is designed to direct the sap away from the high-quality kind of blade and so protecting and ensuring that the blade could last longer. Once the sap sticks to this unit, every cut would be a lot harder to make. And this blade also features a wire-cutting notch. Also, it features a hardened nut as well as a bolt which is used in order to find the perfect adjustment of the cutting blades and anvil blades. 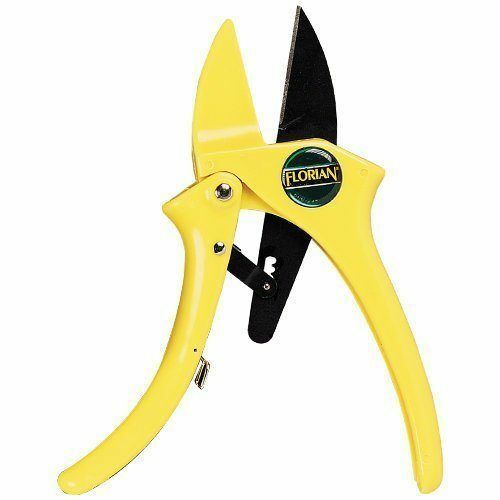 Indeed, this will add efficiency of the pruners and it helps to keep the hands and wrist protected via optimizing the force exerted on the handles. And these handles are covered with a non-slip material which keeps the hands from slipping though you are almost sweating. The unit also comes with a shock absorber helping to reduce the fatigue once at hard work. Strong and durable steel blades. Sharp blades for a long time. Tight to flip locking mechanism to closed position. Not for those with smaller hands. This shear will offer both functionality and quality and it has been designed for a professional as well as individuals having small and medium-sized hands. Together with that, this unit comes with a modern design that makes the pruners ergonomic, durable and beautiful. This product is designed to be versatile and could work on shrubs, flowers, grapes, and plants having not to experience any fatigue. It features bypass blade is made of carbon stainless steel and is a sharp one making it durable and strong. The blades also come plated along with chrome that contributes to the rust proof features of the blade. It also has handles that are made from aluminum adding to the lightweight nature of the unit. And between the two springs is the shock absorbing spring that is a way better compared to a padding which many units feature. 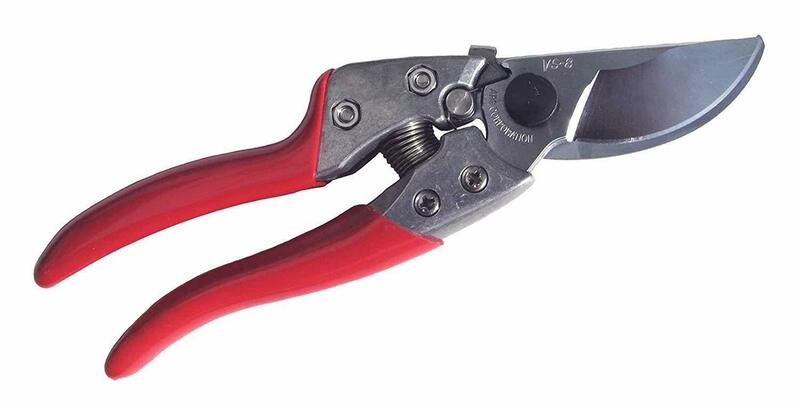 The grips of this hand pruner are also comfortable and will provide maximum performance. Safe storage and satisfaction guarantee are as well provided. High quality and function efficient. Minor issues with the lock. This one is considered as the right choice for the hard-core gardener. It features sharp as well as superior high-quality blades which could be re-sharpened and replaced. The blade design is also offset for you to have the natural hand force. And these blades are being plated in hard chrome as for preventing sap or rust. As you squeeze the handles, it also features a locking latch mechanism. ARS pruners offer a non-slip coating that is made from the top quality as well as heavy cast aluminum. You can also choose from two sizes based on the size of your hand. This tool is indeed very handy and also advised for those heavy duty users. Quick and easy to dismantle. Lock that is a bit tough to operate. In terms of design, this one stands out from the rest. It has a unique design which measures 7.5 inches long. Its length and ratchet action design would help to amplify the cutting power that helps in making a cut off the branches. This tool offers blades that are sharp and would get precise cuts that help in retaining the healing ability of the branch cut. Since the blades are made of carbon steel, they are too strong. And the blades are covered with Teflon that compliments the high qualities of these blades. On the other hand, these handles are reinforced by a nylon intended for a lightweight operation and smooth feel. This unit comes with colored yellow as well as black that is ideal for those that are looking for an appealing unit. Sharp blades and precise cuts. Another great option is the use of this hand pruner. 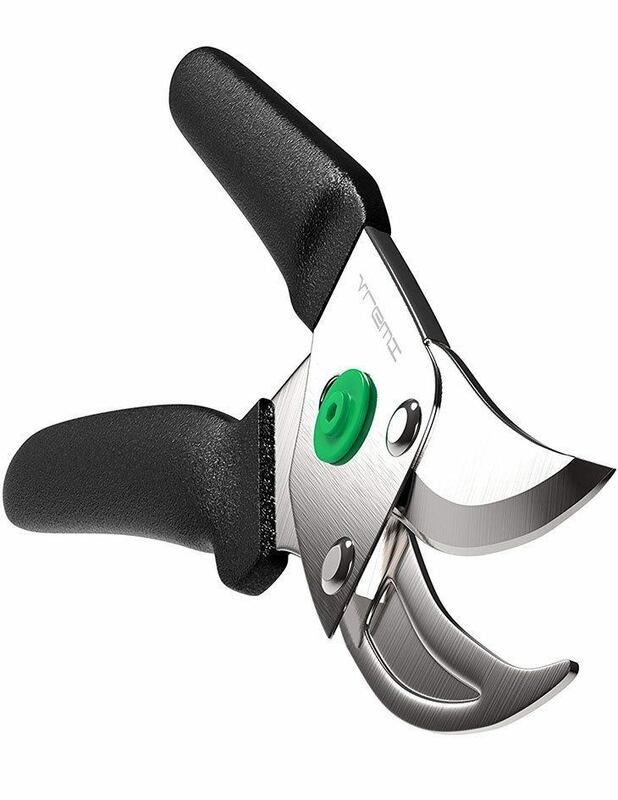 This unit features razor sharp blades that are perfect for cutting flowers, herbs, and vegetables. Since flowers are delicate plants, there is a need for the blades to be very sharp providing fast and clean cut which might heal fast. Also, this unit offers a comfortable grip due to its ergonomic design which is used to construct it. The comfortable grip also renders some cushioning and might offer a great control as well. It also has a safety lock that would help in keeping the blades tight with one another. A bit bulky and thick. 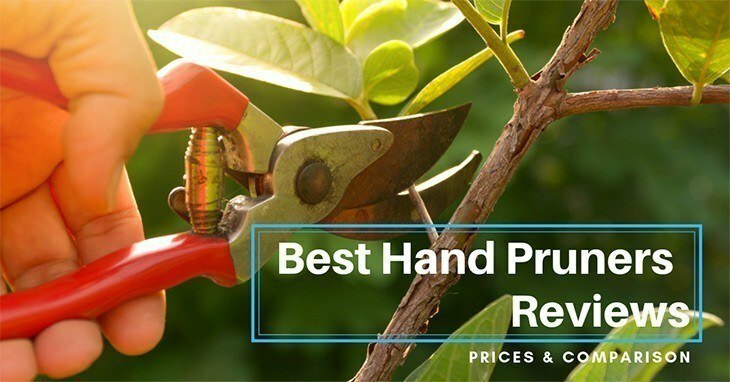 There you have it – the best hand pruners available in the market today! You don’t need to be confused at all. You are now provided with reviews and buying guide to help you throughout the buying process. But, for the best pick, I would recommend the use of Felco F-2 Classic Manual Hand Pruner. Why? Well, this one is not just my favorite but the favorite of many professionals and gardeners. With its great and high-quality features, no doubt that it could perfectly get the job well done. And of course, it will definitely suit your budget and preferences as well.